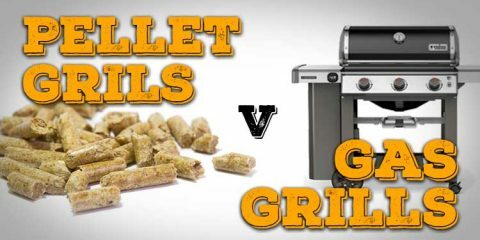 Pellet Grill vs Gas Grill - Which is better? Nothing says “expertly smoked meat” more than the distinctive pink smoke ring that circles the edge of the meat when you slice into it. But getting a smoke ring has eluded many a backyard barbecue enthusiast. While there is no doubt that a smoke ring looks impressive, some question whether it has any real impact on the flavor of the meat at all. 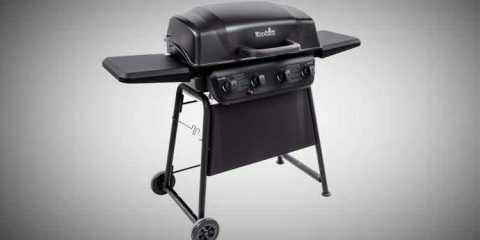 In this guide we’ll look at how to ensure your barbecue gets the smoke ring, what fuel you should be using to get one, and discuss whether there are any shortcuts, or specific methods you should be using. What factors influence the smoke ring? What Type of Fuel Produces the Best Smoke Ring? If you know anything about barbecue you’ve probably got a rough idea. The simple answer is that the smoke from the burning fuel in your cooker hits the meat, and a smoke ring is born. But if we have a closer look, there are actually some serious chemical reactions going on in order for a smoke ring to appear. Excuse the quick science lesson, but this is worth understanding. A smoke ring is caused by a reaction between a protein in the meat called myoglobin, nitric oxide (NO) and carbon monoxide (CO). Nitric oxide and carbon monoxide are gases produced when nitrogen and carbon combine with oxygen in the combustion process. Myoglobin is the protein in the muscle that stores oxygen until it is needed to produce energy. Some types of meat have more of this protein than others. A good way to tell is by looking at how pink the meat is. 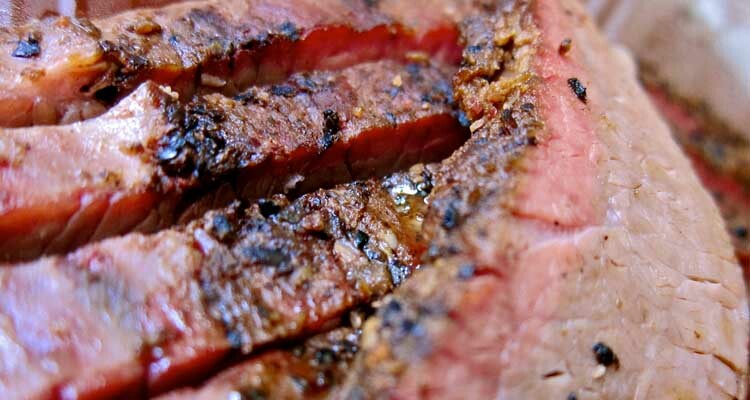 Beef has a higher percentage of myoglobin than poultry, for example. When a beast is slaughtered and the blood is drained, myoglobin remains in the muscles. In fact, the pinky red liquid you often see coming out of your meat before it is cooked is myoglobin water. The fascinating thing about myoglobin is that it changes color according to how much oxygen it is exposed to. Dr Greg Blonder of amazing ribs.com explains it well. Prof. Greg Blonder, Mythbusting the Smoke Ring: No Smoke Necessary! “In high oxygen environments, like air on the surface of freshly cut meat, myoglobin is bright red. In zero oxygen environments, like deep inside a steak, myoglobin is purplish. In low oxygen environments, as in week-old packaged meats, myoglobin is brown. As you might imagine, this color change is reversible because myoglobin is designed to continually shuttle oxygen back and forth through the cell wall. Now that we’ve got the science stuff out of the way, let’s get practical. There are a couple of things that will “fix” the color of the meat, namely, high temperatures, nitric oxide and carbon monoxide. Take beef, for example. At 170°F the myoglobin breaks down, and the color is fixed. At this temperature, the beef will be a grey color. 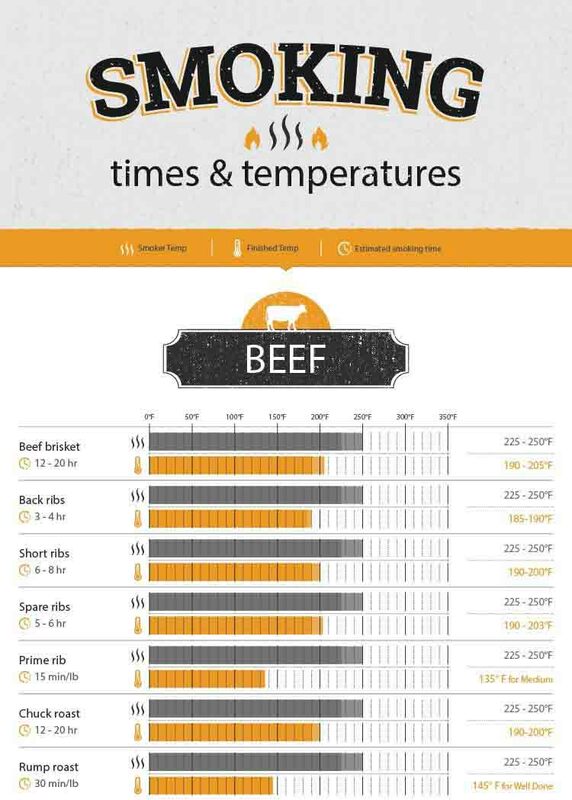 This temperature is different depending on the meat you are cooking. However, if the meat is exposed to nitric oxide and carbon monoxide at a lower temperature, the color can be fixed at that temperature, when the meat is still pink. Depending on the type of fuel you use, smoke containing nitric oxide and carbon monoxide can be produced at low temperatures. These gases make their way into the meat. As they do so, they react with the myoglobin and fix the pink color. Seeing as they cannot travel very deep into the tissue, the result is a pink smoke ring that is fixed around the edge of the meat. As the meat reaches a higher temperature and continues to cook, the center of the meat becomes a brown/grey color. The meat in the center of the cut will not be pink in color as it has not been exposed to the gases in the smoke. If you have ever looked into curing salts, you may have noted that there is a similarity here. The nitrites found in curing salts are responsible for fixing the pink color in bacon, pastrami, hams and other cured meats. As is the case with a smoke ring, the color fixing properties of these chemicals are responsible for the pink color that is maintained in the final product. 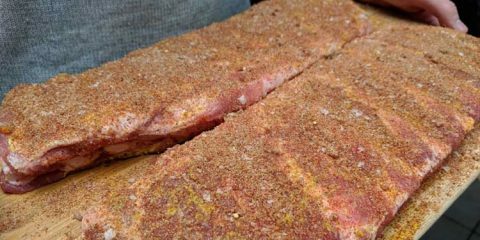 Humidity – Higher humidity, and a moist meat surface, results in a better smoke ring. Oxygen Levels – Oxygen is required for combustion to take place. A lack oxygen will mean smoldering fuel, less nitric oxide and no smoke ring. Combustion Temperature – Lower combustion temperatures, or the point at which the fuel bursts into flames, produce a better smoke ring. This is because nitric oxide, a by-product of combustion, is produced at an earlier point in the cook before the temperature will break down the myoglobin and the colors are fixed. Your best bet is to use either charcoal briquettes or plain wood. Both of these fuel sources create a higher concentration of nitric oxide in their exhaust. 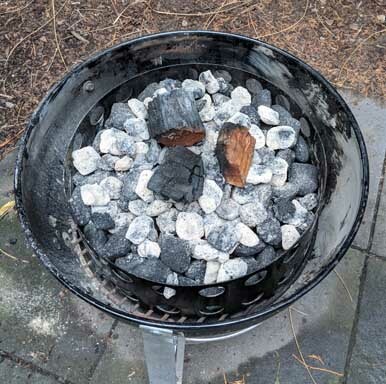 Lump charcoal does not perform as well, producing less nitric oxide in the combustion process. Gas and electric smokers are probably the worst option if you are wanting to create a smoke ring, as they do not produce much nitric oxide as a by-product of the combustion process. Having said that, we will talk about some tips when using an electric cooker to create a smoke ring later in this article. 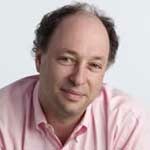 Dr Greg Blonder of Amazingribs.com conducted some in depth research on this topic, and you can find his results here. If you enjoy a good video, here is a roundup of how to get a good smoke ring. Remove the fat cap – Fat does not contain myoglobin. Furthermore, if the nitric oxide and carbon monoxide have to travel through the fat to reach the meat containing the myoglobin, this will hinder the creation of a smoke ring. Keep your meat moist – Cooling the surface of the meat by mopping, spritzing and spraying will keep the surface of the meat cool and aid in the condensation of nitric oxide. It will also delay the formation of a bark until later on in the cook. The bark hinders the smoke ring formation. A third advantage is that a moist, sticky surface will ‘grab a hold’ of the nitric oxide and carbon monoxide in the smoke as it wafts past. Keep it low and slow – If you cook at high temperatures, the myoglobin will break down before nitric oxide and carbon monoxide get a chance to penetrate the surface of the meat and create the smoke ring. Keep your meat in the fridge right up until you’re ready to start cooking it – This will keep the temperature of the meat low. This opens up a larger window of time in which nitric oxide and carbon monoxide can travel into your meat during the cooking process. This allows the pink color to be fixed before the temperature of the meat climbs too high and the myoglobin breaks down. 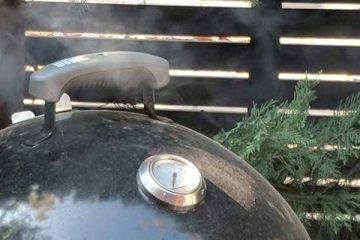 Not all types of smoker are created equal – A smoke ring will be hard to accomplish using an electric cooker. The high combustion temperature, lower oxygen levels in the combustion process and the resulting low levels of nitric oxide mean that creating a smoke ring in an electric cooker will prove to be a real challenge. More smoke does not equal a better smoke ring – When meat reaches the 140°F mark, it stops taking in smoke. By this we mean that the gases which are responsible for the formation of a smoke ring will not penetrate the meat after it has reached this temperature. Many will wrap their meat at this point to keep it extra juicy. The takeaway point? 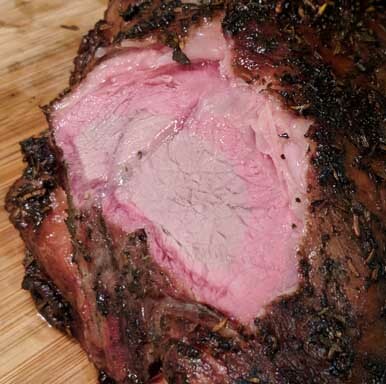 Wrapping your meat after it has reached 140°F will not affect your smoke ring. However, wrapping your meat at this stage will affect your bark. Smoke will continue to build up on the outside of the meat as long as it is exposed, creating a thicker, crispier bark. You can create a cheat smoke ring by dusting a small amount of any curing salt containing sodium nitrite on the surface of your meat. All you need to do is pop the meat in a regular oven to cook it and you will end up with a impressive looking smoke ring. While this might look good, it may not come with the same levels of satisfaction of having created the smoke ring using a more natural method. It is also interesting to note, that if you are planning to take your barbecuing to a competitive level, the smoke ring is no longer a judging criteria in some barbecue competitions. This is due to the fact that it can be easily “cheated”. However, some pit masters still like to create a smoke ring for its aesthetic value. If you are using an electric smoker, all this talk about type of fuel has probably left you scratching your head. While it’s true that electric smokers struggle to generate a smoke ring on their own, the good news is that it can be done, with a couple of handy hacks. If you have a larger electric smoker, the secret is to place a couple of lumps of wood and charcoal into your smoker. Place the wood and charcoal in the wood tray at the beginning of the cook. Don’t use the loader of your smoker unless the wood chunks are small enough to fit. 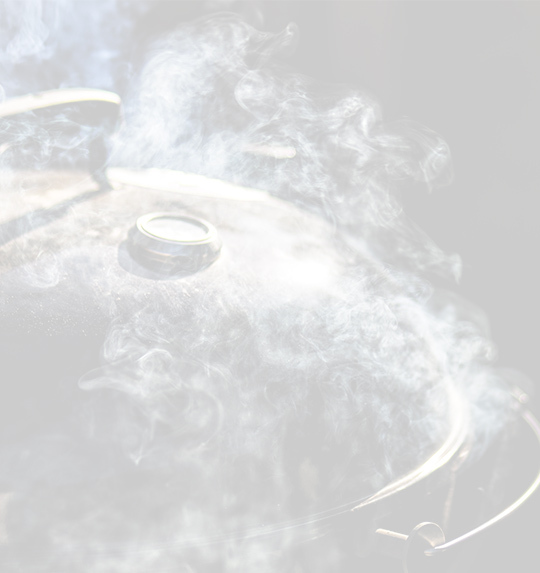 Unfortunately, if you have a small electric smoker, you may not be able to fit enough wood in the smoker to produce the required amount of gases to create the smoke ring. Some who have smaller electric smokers use the cheat method and rub some curing salt on their meat to overcome this. 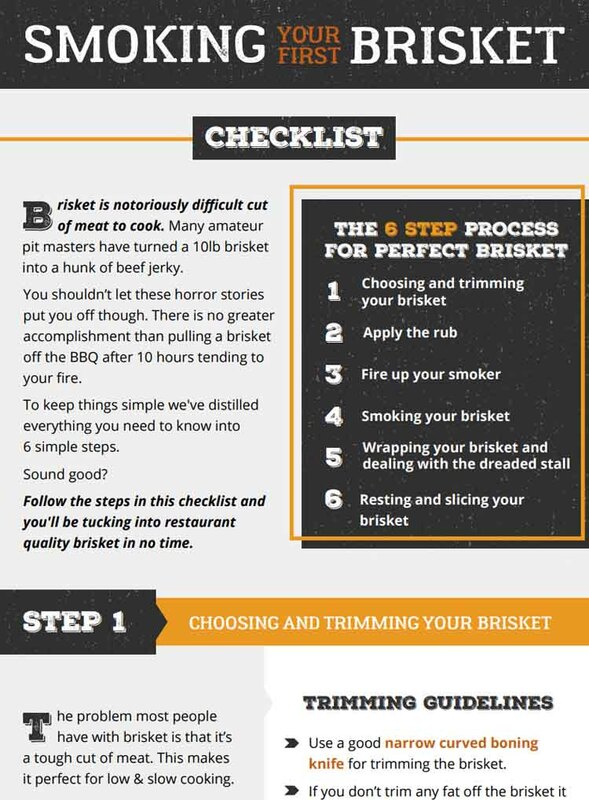 We hope you have enjoyed our guide to getting an impressive smoke ring. Clearly, there is a lot involved in achieving it, but it is well worth the effort. 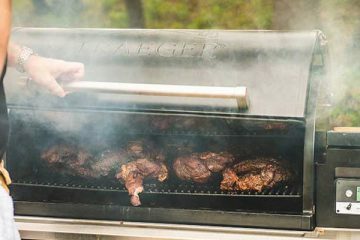 Knowing how a smoke ring is formed, what type of fuel you need to use to get one, as well as having a couple of handy tricks up your sleeve, are important if you are going to master this satisfying barbecue skill. Have you ever produced a great smoke ring? What was your secret? Or do you have any more questions about getting a smoke ring? Be sure to mention it in the comments below. And if you found this article helpful, please be sure to share.